AC Cool, Inc. is the best choice for heating and air conditioning among Fullerton area residents and business owners. We are a locally owned, fully licensed heating and air conditioning company with a dedicated team of NATE certified, highly experienced service technicians and installers. Since 1991, our team has provided our customers with high-quality, efficient service at a highly competitive price with excellent customer service. Because of our exceptional service, AC Cool, Inc has won the Carrier President's Award and Bryant's Medal of Excellence, receives most of its business through returning clients and referrals, and maintains a high star rating on Yelp. Call us today at (714) 532-2447 to schedule any of our heating and air conditioning services listed below. We have knowledgeable staff answer our phones Monday through Saturday, and an after-hours line for emergency furnace or air conditioner repair requests. At AC Cool, Inc., we're qualified to repair all major makes and models of furnaces, air conditioners, heat pumps, thermostats, and ventilation/purification systems. Because our service technicians all have years of hands-on experienced and are certified by NATE (North American Technician Excellence), you can count on them to be familiar with the industry's best practices for heating and air conditioning troubleshooting, diagnosis, and repair. Our techs arrive in a timely manner, with fully stocked trucks, allowing them to finish most jobs on the first visit, unless a part needs to be special ordered. They work efficiently and neatly, and provide ongoing updates. Our repairs are backed by a 6-month labor warranty and typically a parts warranty of 1-12 months as determined by the manufacturer. If you are experiencing heating and/or cooling issues in your home or business in Fullerton, Brea, Cypress, or other nearby city, give AC Cool a call today. Your comfort is our business! Regular maintenance of your central heating and air conditioning system is the key to avoiding unexpected breakdowns and costly repairs. AC Cool, Inc. offers residential and commercial clients in Fullerton, Buena Park, and Cypress affordable preventative maintenance services for all makes and models of furnaces and air conditioners, including American Standard, Tempstar, Payne, RUUD, Heil, Lennox, Rheem, Armstrong, Luxaire, Goodman, Trane, Bryant, and Carrier. Here's a look at what's included in our very thorough, multi-point air conditioner and furnace tune-ups. **Does not include clearing drain line and clogs that can't be identified by external inspection. * Not all systems require identical maintenance procedures but all will receive comparable care. Call AC Cool, Inc. today to schedule a furnace or air conditioner tune-up in Fullerton, Buena Park, Cypress, or other nearby area. By investing in the regular maintenance of your heating and air conditioning system you'll extend the life of your equipment, improve its efficiency, and prevent or catch problems before they turn into big ones. Whether you have a small home or a large apartment complex, the purchase of a new heating and/or air conditioning can be a significant investment. As such, you want to be sure that you are buying quality equipment and having it installed by a qualified expert. 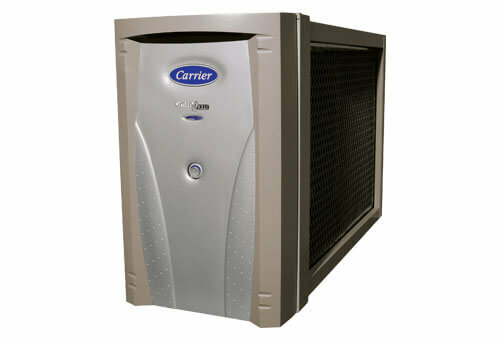 By working with a Carrier Factory Authorized Dealer, like AC Cool, you can be confident on both these fronts. Carrier Factory Authorized Dealers exclusively sell Carrier products, which are considered among the best on the market today. 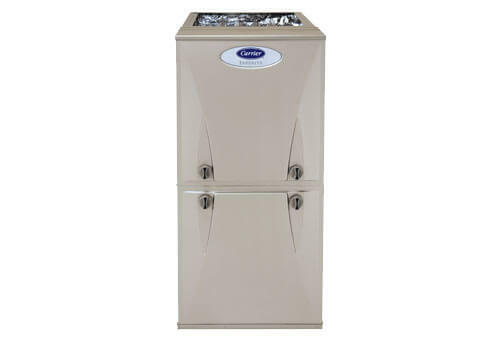 Carrier furnaces, air conditioners, heat pumps, and mini-split systems are all designed to offer innovative technology, maximum energy efficiency, and impressive performance. 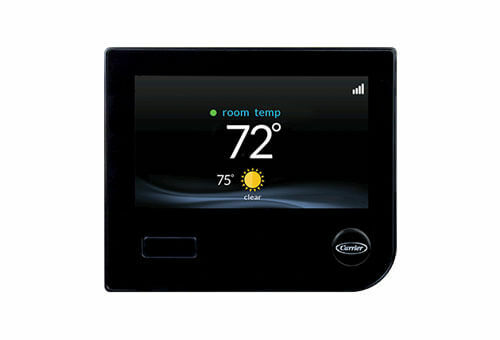 These heating and cooling products come in a wide variety of models and sizes to accommodate nearly any need, preference, and budget. 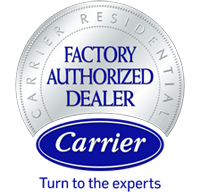 All Carrier Factory Authorized Dealers are required to meet a number of strict requirements, from demonstrating operational excellence to maintaining high customer satisfaction ratings. When it comes to technicians, Carrier Factory Authorized Dealers must ensure that they pass all background checks, are certified by NATE, and participate in ongoing factory training. 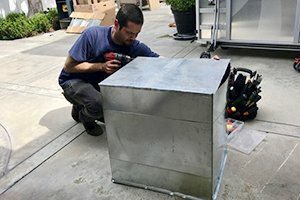 By having such high standards for its technicians, Carrier can trust that every Carrier air conditioner or furnace installation performed by a Carrier Factory Authorized Dealer will be done right the first time, every time. Because they are so confident in the quality of their products and their dealers, Carrier stands behind all of its new and replacement air conditioners and furnaces with a 100% satisfaction guarantee for 12 months after installation. 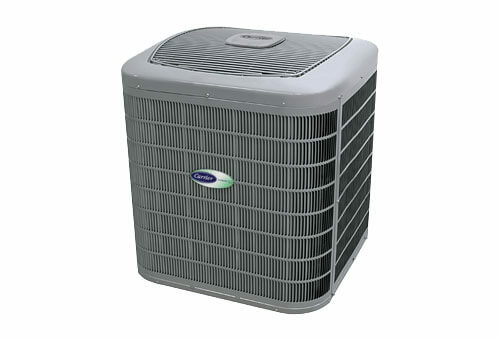 This means that, during this timeframe, if for any reason you are dissatisfied with your Carrier air conditioner or furnace, your Carrier Factory Authorized Dealer will fix the issue to your complete satisfaction, or remove the system and issue you a complete refund. If you are interested in our furnace and air conditioner installation/replacement services available throughout Fullerton, Buena Park, and Cypress, call AC Cool today to schedule an appointment with our Comfort Advisor. During a FREE in-home, no-obligation consultation, our Comfort Advisor will assess your home's heating and/or cooling needs and design a system to meet them. He can also present financing options and review any available rebates or special offers. 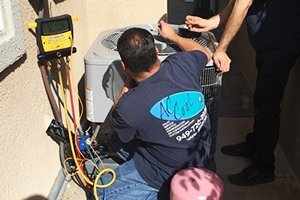 AC Cool, Inc. is a locally owned and family operated heating and conditioning service that has been serving the Fullerton, Cypress, and Buena Park community for nearly three decades. 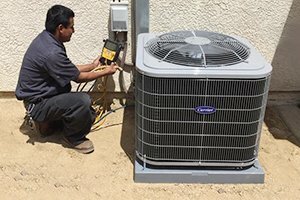 In addition to heating and air conditioning repair, installation, and maintenance, we also offer a variety of related services that have been specially designed to meet the needs of our customers in the local area. I have known Paul for a few years now and appreciate both his friendship as well as his HVAC and refrigeration expertise. Paul has come to our rescue a few times with regard to repairing our AC unit and our freezer. Paul is honest and trustworthy. All of his recommendations for repairs were performed at minimal expense; we were anticipating worst case scenarios for both units. Paul reassured us that normal wear and tear on both the AC and Heating elements require some routine maintenance. I have him come over ever season to service our AC system and change our filters. He is a terrific local businessman that I highly recommend to anyone that needs HVAC or refrigeration expertise. 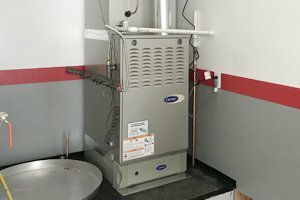 AC Cool is a professional HVAC contractor qualified to perform a full range of heating and cooling system services, including furnace repair and maintenance. If your heater has a standing pilot light, there is a chance you may have a damaged firebox, which can lead to fire or carbon monoxide poisoning. Always consult a professional HVAC contractor when you're having issues with a furnace – especially an older one. Keep your family safe!